The request for components, furniture and wooden prefabricated houses is seeing explosive growth year after year, accompanied by increased request for woodworking machinery. According to a study by Technavio, the market for woodworking tools will experience +3% growth by 2021, reaching 4.4 billion dollars. Furthermore, in keeping with the divestment from plastic in many Countries, wood will gain even greater importance as a material and will need to try and keep up with the most advanced environmental trends. This means that those who work in the sector will have an increasing number of competitors and will need to guarantee excellent quality for their customers. To achieve this, one must absolutely remain up to date on the market trends for 2019 and for the subsequent three-year period. Right, but how? There are many ways to keep up with the changes in the machining of wood and wood composites, as well as the machining equipment used. 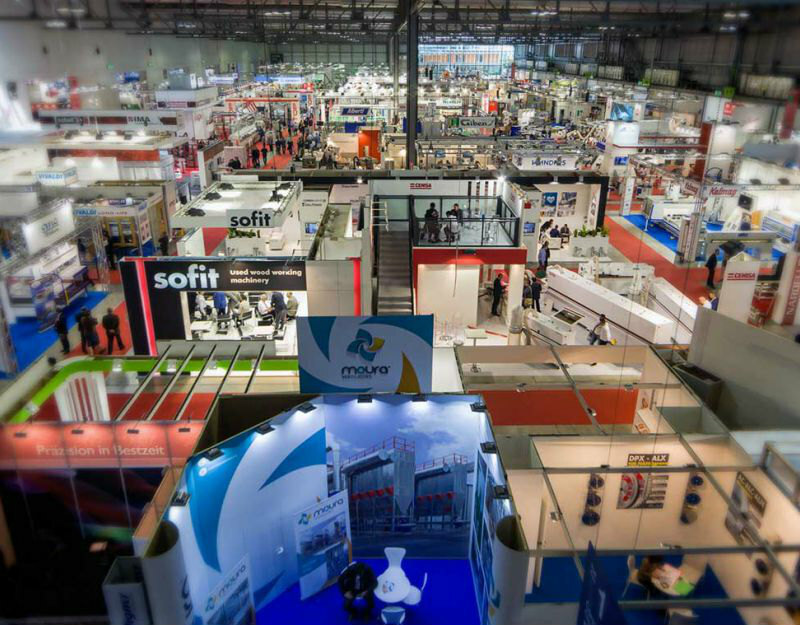 One of the most effective options is certainly to participate in the main trade shows for the sector, which are held periodically in Europe and around the world. These events are mainly designed for insiders: participants include the leading producers of woodworking tools and machinery, companies that are part of the wood supply chain and even companies that handle the construction of prefabricated buildings from wood, a housing trend that is on the rise in Europe. 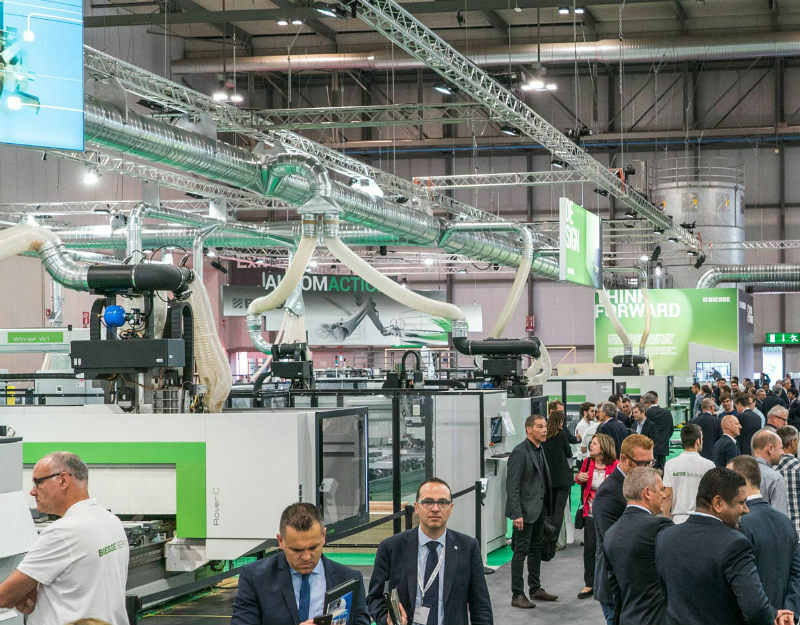 Let's take a look at the advantages of participating in trade shows and briefly review the main fairs that will focus on wood processing in Europe over the next two years. Why participate in a woodworking trade show? It's an obvious question, especially given the fact that we live in an age dominated by technology that gives us the option of participating in events through streaming and having updated information just a click away. Trade shows in the past were seen as a means of introducing the public to one's products and thereby helping expand one's business; these days all that can easily be done from a comfortable spot at a computer in the office. The same reasoning applies to our sector as well: these days we can simply contact our suppliers and sell our products over the web. Still, there are at least 5 good reasons to consider participating in the main trade fairs for the woodworking sector. Not convinced? Read more. One of the reasons that should drive you to participate in a trade fair is the possibility of forming new contacts and agreements, expanding your network of acquaintances in the sector. The woodworking sector is seeing significant growth, which means more and more companies are looking for business in the sector; participating in an event offers you a chance to network and expand your business's range of action. This is much easier to do in person, where handshakes and body language can help you immediately grasp the other person's intentions. Whether you participate in the fair with a stand or simply come as a visitor, you will be able to do something that is (still) impossible over the internet. See and feel the products on display, learn about how they work in person and thereby immediately understand whether they can be useful for your business. It's common knowledge that there is a wide range of tools available for processing wood both in terms of quality and functionality. It is therefore important to test the product, ask for information and verify that it's a truly valid item before completing a deal: trade fairs offer a chance to do all that with hundreds of products in a single shot. Trade shows are packed with events, conferences and workshops open for participation. In addition, only trade shows provide you with insight about new trends in woodworking, since you can see what direction the leading companies are taking and explore the newest innovations in terms of tools and finished products. This helps you anticipate your customers' expectations and easily learn how to improve your product. You can even decide to expand your business following market trends. Fairs offer a chance to meet prospective customers, trade ideas with them and forge relationships. You can meet contacts that were initially formed online, helping consolidate the work relationship. An added benefit to this is showing that your business isn't simply interested in the bottom line, but that you want to form solid relationships for collective growth. A company that participates in a trade fair broadcasts a positive image to the outside world. By participating in an event that focuses on woodwork with your stand, you can show your products and welcome people, interact with them and show your friendly side: all this benefits your brand identity and helps you appear more "human" to consumers and third-parties. The objective is to ensure that people speak positively about your company, encouraging both word of mouth and customer loyalty. Whether you decide to participate in a woodworking trade fair with your stand or as a visitor, you will need to plan your trip well in advance. You need to prepare company brochures, offers and presentations of your products to be shared with potential customers. For the trip to be worth the investment, every minute of the fair must be exploited to raise awareness for your business and provide your company with the best possible exposure. Here's a list of the main trade shows for the woodworking sector in Europe that are absolutely not to be missed, in chronological order. Ligna Hannover offers a surface area of 129,000 sqm, 1,500 exhibitors and roughly 93,000 visitors at every edition. 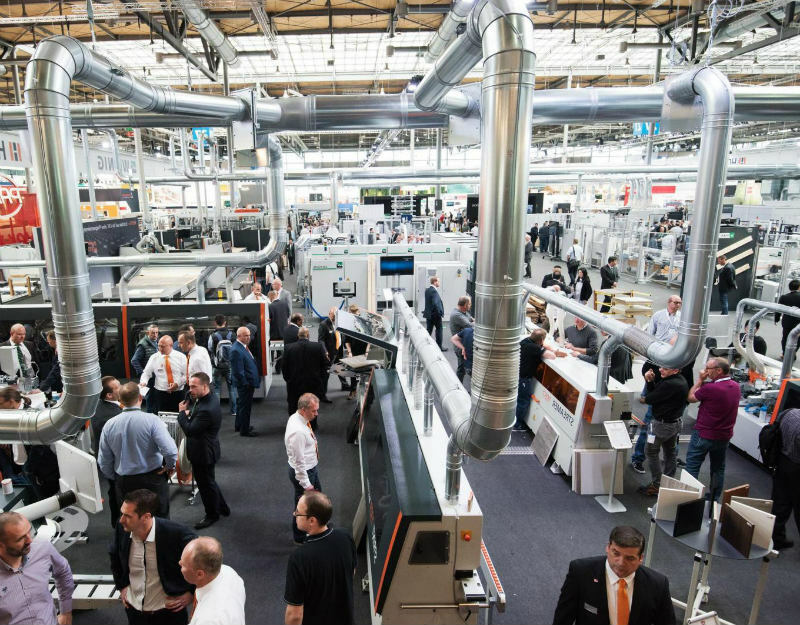 Organised by Deutsche Messe and the German Woodworking Machinery Manufacturers' Association (VDMA Holzbearbeitungsmaschinen), this fair stands out for its significant internationalisation, with exhibitors arriving from numerous countries both in Europe and outside the EU. Wirutex hi-tech tools will be present at this event, since it is one of the most important on the global level. Just think, 80% of the exhibition spaces for the 2019 edition have already been booked. Hannover will help you learn about the trends for 2019 and discover the most important innovations in the equipment and the techniques used for processing wood. The following categories will be present at the fair: tools and machinery for custom and mass production, surface technology, wood based panel production, sawmill technology, energy from wood, machine components and automation technology, forestry technology. Drema, International Trade Fair of Machines and Tools for Wood and Furniture Industries, is held in Poznan, Poland, and presents all the latest changes in the world of woodworking and furniture. It is the top event for the sector in Eastern Europe. Drema is a crucial opportunity for small, medium and large businesses to extend their range and form agreements with suppliers and customers, the most important of whom participate in the event as exhibitors (over 350 in previous editions). The themed areas present at the fair are: equipment and machinery for primary wood processing (semi-finished product), equipment and machinery for the mechanical machining of solid wood, equipment and machinery for surface finishing, equipment and machinery for assembly and packaging, technology for handling materials and for storage, robotic technology for cutting and processing wood, machinery and facilities for special processing, machinery for building prefabricated houses, building support structures with wood, machinery for treating and packaging wood, equipment and machinery for producing wood frames. Finally Holz-Handwerk, European Trade Fair for Machine Technology, Equipment and Supplies for the Wood Craft, held every two years in Nuremberg, Germany, one of the emerging events dedicated to woodwork, whose main focus is artisans. The fair centres on the processing of bare wood. Holz-Handwerk brings in a large number of visitors at each edition, along with 1,300 exhibitors from 42 Countries. 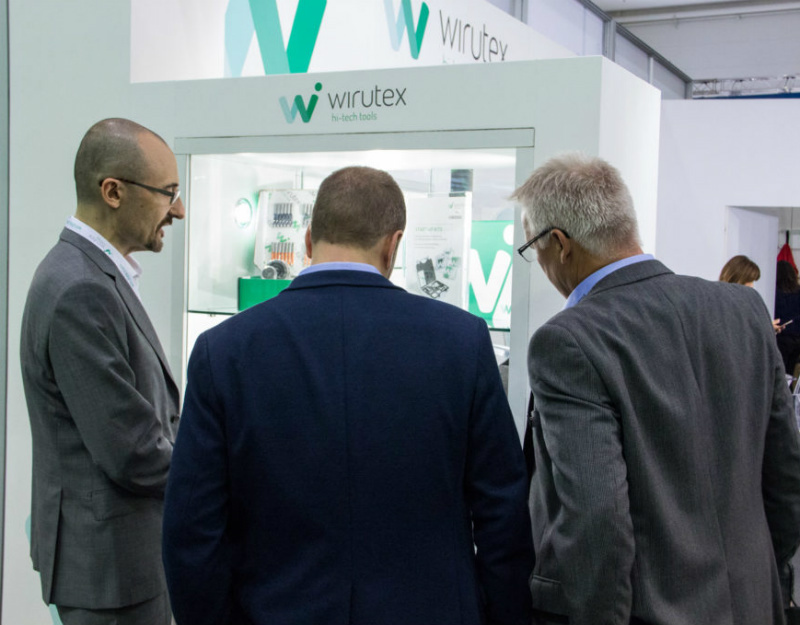 A completely Italian event, and one of great national impact, is Xylexpo, a trade fair held every two years for the processing of wood and components for the furniture industry, Wirutex hi-tech tools is among the participants. Now in its 27th edition, every two years the trade show brings together thousands of specialists who operate in the woodwork sector from all over the world. It's a meeting place for all those who operate in the wood supply chain, five days to directly experience the technology behind the production processes used on wood, along with the most innovative products. In addition, the XIA-Xylexpo Innovation Awards are also held during the fair. It's an exhibitor-only event that rewards the innovative technology used to process wood. Given the positive trend seen at the end of 2018, the sector is expected to grow over the coming years. But what direction will it take? There will be increasing investments in automation and technology, given that the cost of the machines has become increasingly accessible. "Woodwork 4.0" is already a reality, with increasingly precise and intelligent tools for machining wood in accordance with the specific needs of the company. It's a crossroads for companies: should we invest in custom wood products or focus on prices and mass production? The answer is: it depends. The world of furniture is dominated by colossal industries, therefore it's best to focus on unique products, while those who provide machines and parts can invest in mass production. But what really matters is to always be aware of the trends in the market. And participating in trade fairs is the first step.